Unit 532A, 5/F, Core Building 2 No. 1 Science Park West Avenue Hong Kong Science Park, Shatin, N.T. Acquaintance Enterprises Limited established in 2015 with three cofounders of completely different backgrounds. the cofounders have one common background is that they are the experienced "insiders" of trucking and logistics industry. The company developed the first product “36Link” in order to enable the trucking business in Hong Kong and China market. 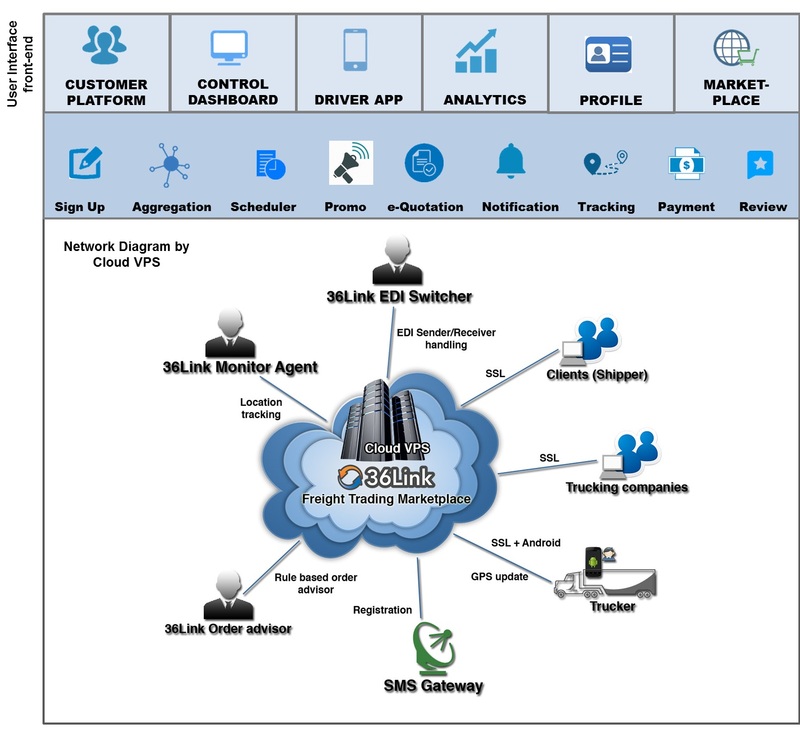 36Link is a logistics system-enable online marketplace dedicated to the B2B trucking industry, consists of a shipper / truck agent web-based system and a driver mobile APP. The concept of 36Link is to match the supply (i.e. the truck agents) and the demand (i.e. the shippers) of the truck industry together through a single platform, while the specialties and performance of the truck agents and their drivers will be digitalized and visualized by the 36Link Truck Management System (“36Link TMS”) behind. It is a platform that keeps the market open, standardized and transparent. 36Link’s uniqueness comes from the 36Link TMS which will be given to the truck agents for FREE. The system’s UI and UX developed based on the needs of the trucking industry users. As an online marketplace, you can imagine 36Link as the Amazon.com for trucking service with the profiles of the truckers being built up automatically by the big data which is collected through the 36Link TMS and mobile APP. The company profiles of the trucking companies and drivers will be the best reference to the shippers in order to find the suitable and reliable service providers. The UI of the TMS, mobile App, profile and e-marketplace are extremely user-friendly that shipper can use it immediately with our in-system training. The concept of 36Link platform can be illustrated with below graph.